I think I've established my bonafides as a map geek. The Maradaine books all have maps of the city, and detailed blow ups of certain neighborhoods. I've refrained from going Too Much Information on the maps, because I certainly could. I could show all of Druthal, all the world. I could also give a floor plan for the Welling family household. So to my surprise, I was checking through my files and realized the last time I had touched many maps was as far back as 2008. I'm pretty sure that was three computers and four generations of Photoshop ago. Immediately I realized that ALL my world-level maps were, for all intents, out of date. 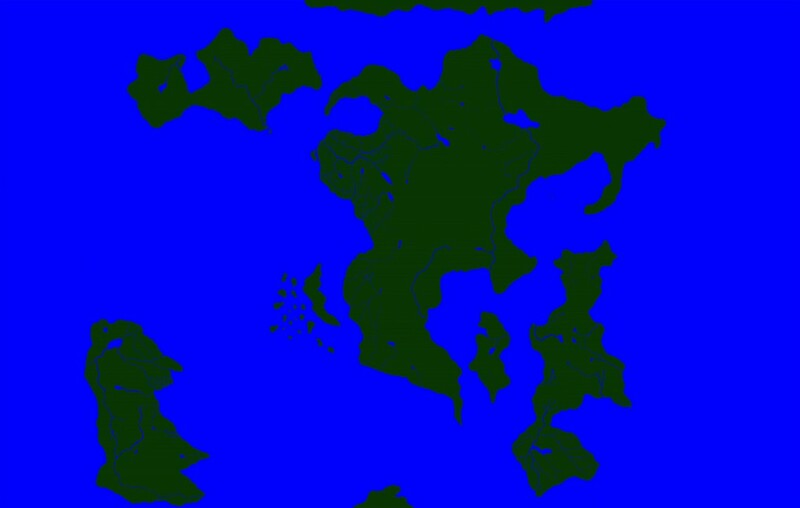 Not to mention, I've become a better mapmaker, a better worldbuilder since then. Plus, it seems some of my files have been lost. The hi-res work version of the detailed map of Druth is not anywhere on my computer. I have a lower resolution one where you cannot make out the river and city names. Plus I didn't keep things in separate layers on Photoshop, which was a complete rookie mistake. I realized I had to redo the Whole World Map. And not only that, re-do it from the ground up. Because I know now how to do it even better. The funny thing is, this all came about because I'm on a mini-writing retreat to get the draft of Imposters of Aventil done. (Yes, I am two books ahead of you all in terms of the release schedule, and that's how it should stay, hopefully). The draft is coming along swimmingly, though it is a draft, and that means plenty more work to do before it's turned in to my editor. But since I was doing that work, I decided, "Hey, I shouldn't spend too much time on this week's blog. I should just be all, 'Hey, busy retreat week! Here's a map!'" Then that happened. And I got very distracted by it. However, that doesn't change the fact that the draft of Imposters is going swimmingly. In the mean time, here's a map, in the process of being re-built.